This season we are unveiling our new label “Alexander by Daymor“. Alexander Taksev has been designing Daymor for the last 17 years and he will continue to do so under his new namesake label. All reorder styles will continue to run but, under the new label. The spring collection is amazing. Novelty fabrics, gorgeous laces and an overall young wearable look. We can’t wait to show it to you the next time you are in NYC. Did you grow up being interested in fashion? How did you get into the business of mother of the bride and special occasion dresses? Do you have memories of your mom getting dressed for a special occasion? How do you think the special occasion dress industry differs today from the previous generation? Where is the mother of the bride dress industry going? What can we expect in the future when it comes to special occasion dresses? These are all questions that would be asked of a mother of the bride dress and special occasion dress wholesaler. 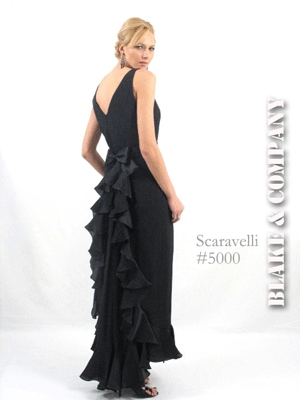 Founded in 1999, Blake & Company began with just a few lines of special occasion dresses. However, Blake was armed with a passion for providing exceptional customer service and a commitment to delivering the finest quality special occasion dress collections. Blake & Company has quickly grown into a multi-line special occasion dress showroom that serves retail stores all over the globe. For over ten years, Blake & Company has been New York’s premier representative of Mother of the Bride and special occasion dress collections. Blake & Company’s wholesale special occasion dress showroom offers special occasion dress vendors a wide variety of fashions from classic to modern styles. The beauty about having a wholesale special occasion dress company in Manhattan is that you can find all the leading designers in New York City. When it comes to special occasion dresses, if you have what the consumers want, they will come to you. With so much more information available to special occasion dress consumers, there is a need to stock what people are looking for. Today’s special occasion dress consumers come prepared with print outs from their favorite designers’ websites and usually have something in mind before they begin shopping.